Take over Sky Fortress Sigma! 2-4 players. It is too much of a lane map in teamgames. I played two matches and they were effective two parallel 2v2s. 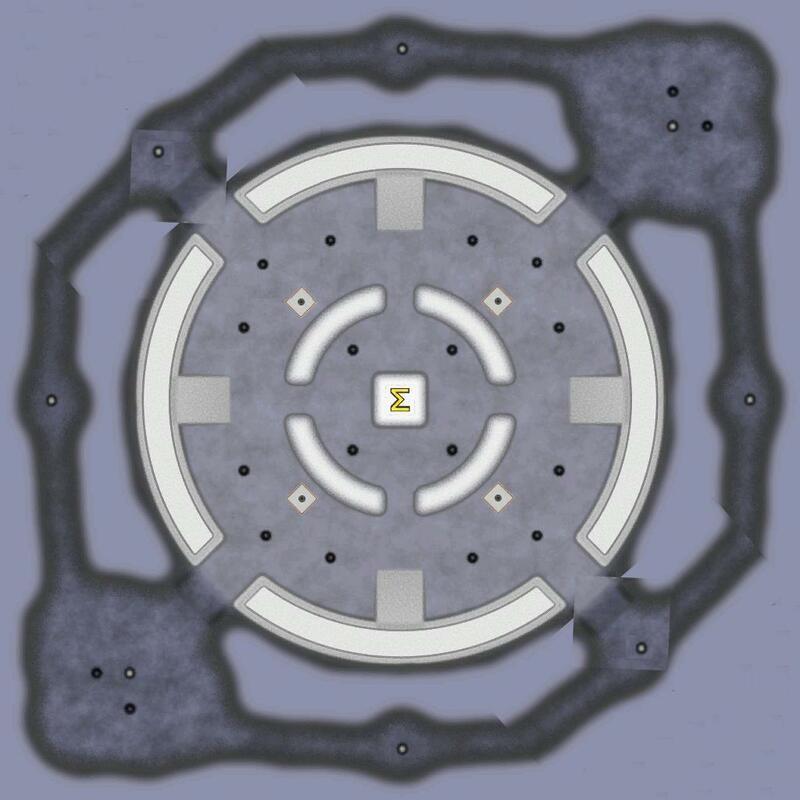 Here is an improvement, with the startboxes limited to NE vs SW.
Perhaps hexagonal symmetry would be even better, as then there would be more entrances into the center. When we played, each team grabbed the two corners, but that may or may not be the case on smaller team games. Each team can focus on lanes, but they can also not do that and move around. The map seems to encourage spiders and air, but all factories except sea should be viable. Your suggestion is ok but would make the gameplay more predictable, too focused on the middle as the single base would be easier to defend. And units on the long narrow lanes would be too exposed to artillery and air strikes. A mechanic that'd be good for ZK to have for these maps with fog or just deep cliffs, would to have a minimum altitude for aircraft to fly : the air mesh should not be lower than the lowest metal spot (lowest relevant altitude). Without this, they fly too low into the fog. The two start spots are innately cheesy. The bases have sufficient income to make starting on a single base quite costly. If you 1-base, you had better rush out onto the map and punish 2-basing. If you 2-base then you just need to defend until your economic advantage takes effect. By lanes, I mean distinct paths towards between opposing bases. The ridges around the edge are not the only lanes on the map. The reinforcement distance is much shorter for fights on your side of the map. The terrain makes it awkward to move between lanes, so how are players not going to be forced into lanes? Not everyone can play air. The current setup gives people more options and makes the game less predictable. It discourages too much investment into defenses early in the game as there's more interesting spots to dispute.